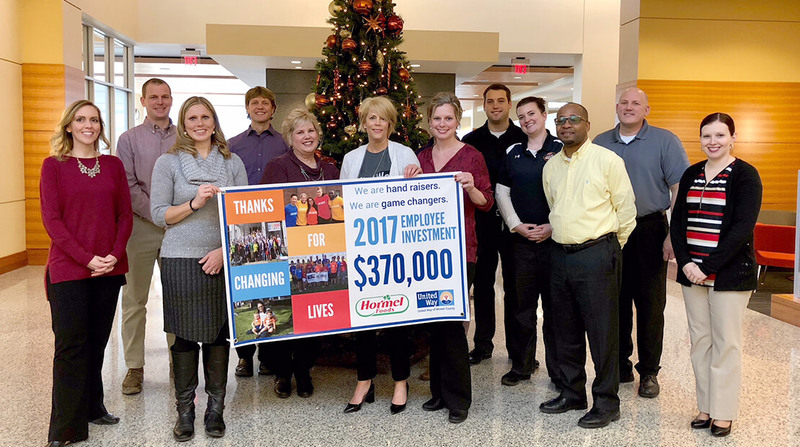 The United Way of Mower County has an additional $370,000 to put toward its programs thanks to donations from Hormel Foods employees. A check for the raised amount, which was collected over a four-week campaign that kicked off in October, was presented to the UWMC on Tuesday morning at the Hormel Foods North Corporate Office. The UWMC is hoping to reach a goal of $1,225,000 to help fund needs in the community.